This invitation is for guests who received the online link by email invitation. 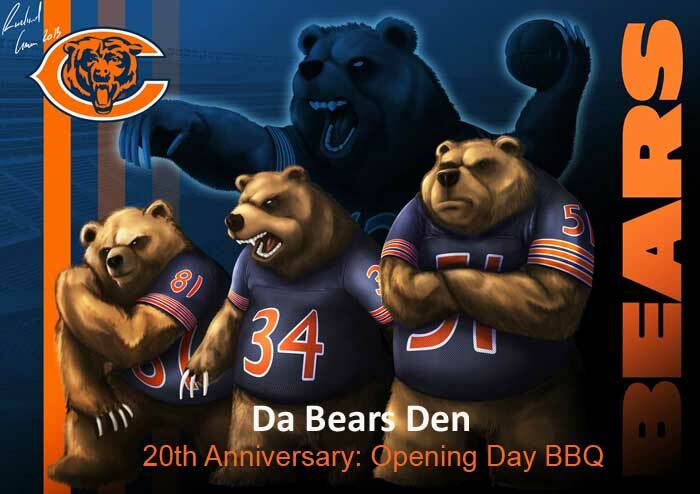 watch DA BEARS each Sunday in the fall. a fun and exciting tradition for two decades! 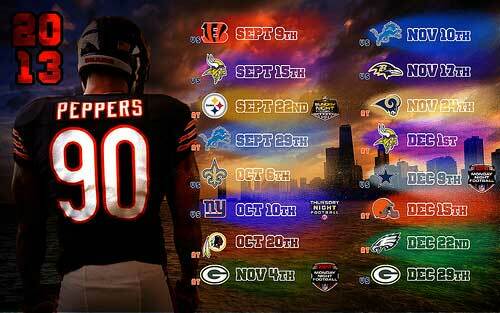 Cincinnati Bengals take on our Chicago Bears at Soldier Field. Game time is 10 am. and watch the game drinking a Bloody Mary at 10 am? Ah...Aging is a BEAR! our regulars plus old and new friends for Opening Day 2013. Our backyard grill will only be available from 9 am to 9:45 am. You are welcome to cook something on the grill during that time. The kitchen stove will not be used. The microwave will be available to warm up foods. some beer, anything you choose! We will have water and soft drinks available. Refresh your memories, and tune up those vocal cords. 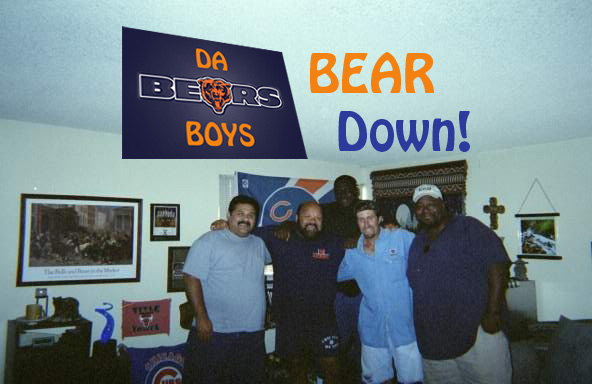 The 2013 Bears offense may finally keep us busy singing! 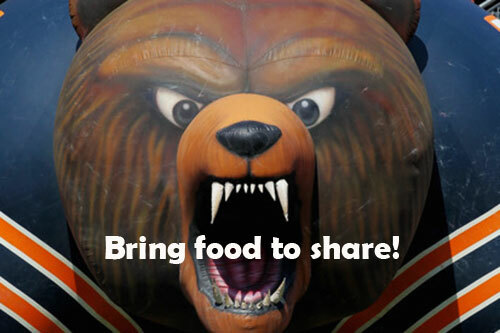 See you soon... GO BEARS!